It's been a scorcher here this week...so we've spent a lot of time at the pool. But I still had a chance to go through all the fun links to last week's party. So why don't I share a few with you now? First up, the Fan Favorite from last week was this cute patriotic paper star tutorial shared by Inspiration for Moms! And here's my Frugal Round Up from last week. You'll want to make sure and check out this ombre glass tutorial from Twigg Studios. Very fun! Next, I laughed when I was going through the links yesterday and saw this tutorial on how to make custom cell phone cases by Crafty Endeavor...just like the one I posted earlier this week. All I can say is that great minds think alike. Lol! 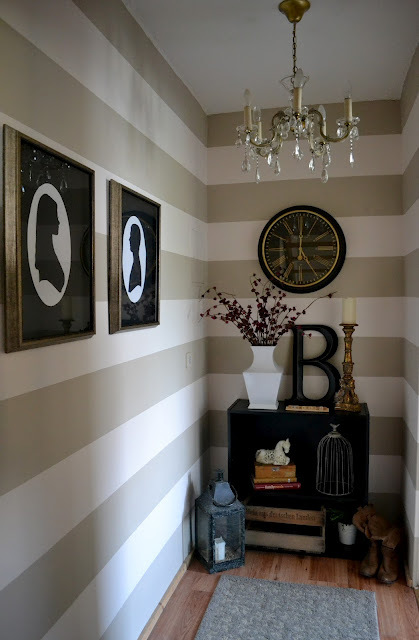 Finally, I love, love, love this hallway makeover by The Poor Sophisticate. The stripes, the ﻿silhouettes, the clock....everything. Just perfect. 2. Please link back the Shabby Nest (you can use the pretty new button on my side bar to make it easy.) I only feature projects in my Frugal Round-up that link back to The Shabby Nest. I have passed up some great features because they didn't link back..so please use common courtesy and return the link! MWAH!! Hey Wendy~ Nice joining you this week at your party. Oh that hallway is AMAZING! I love the stripes and the decor! Gorgeous! Please check out my new blog! Thanks so much for hosting - it's really appreciated!!! Thanks for hosting again this week! Thanks for hosting each week, Wendy! thank you for hosting, Wendy! I LOVE that hallway makeover! stunning!! have a great weekend! 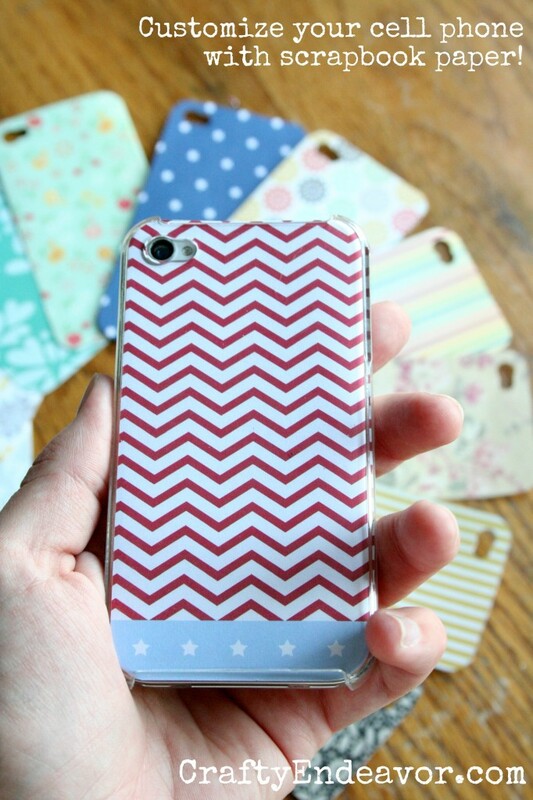 I totally love that cellphone casing made by scrapbook paper. Whoever think of that is a genius. It's cheaper and creative. Thanks for hosting, Wendy! It is fun to link-up now that I have met you in real life (not that it wasn't fun before). I didn't get to chat with you much at Haven but I was glad to meet you briefly. And it is nice to know someone "big" who still blogs on blogger. I linked up my wallpapered ceiling in the dining room. Did you go to Lagoon this week, Wendy? I thought I saw you there. I am happy to join you this week at your linky party! I have added your button to link back to your site on my "Link Parties" page! Thank you so much for the feature!!! I can't thank you enough! I don't know why it took me so long, but I've finally figured out how to serve cake and icecream at kids' parties -parfait style. Thanks for hosting and have a fabulous weekend! Just found your link up. Thanks for hosting newest GFC follower. Love for you to stop by and return the follow. I am hosting favorite product fridays. If you have a review you'd like to share. Love for you to link up. Thanks for another link party! I am trying to get rid of as much store-bought stuff as I can. I really wanted to replace our store-bought butter and came up with this Simple, Homemade Butter recipe(#203 ). The butter tastes wonderful and I am happy to know exactly what went into it. Have a great week! As always, thank you for hosting! Thanks for hosting this week - great features! Glad you're stayin' cool at the pool! Thanks for hosting your party today. As always, thanks for hosting Wendy! Have a great week!